WICO Workshop: Musique Concrete — Wonderful Idea Co.
Last thursday we hosted our first artist-led tinkeing workshop for adults of the summer. Electronic music makers and maker educators Memeshift and Pillow Garden (Morgan Sully and Sarah H. Dot) created a super fun experimental workshop in the Brightworks Annex space. Musique Concrete is a techique for making music from recorded found sounds created in the 1940's. This use of familiar materials in unfamiliar ways presented a great opportunity for tinkering. We started off by investigating piezo microphones which can sense audio vibrations through contact with solid objects. Each of the workshop participants spliced a guitar cable, exposed the wires and soldered together a DIY tool for capturing musical elements. 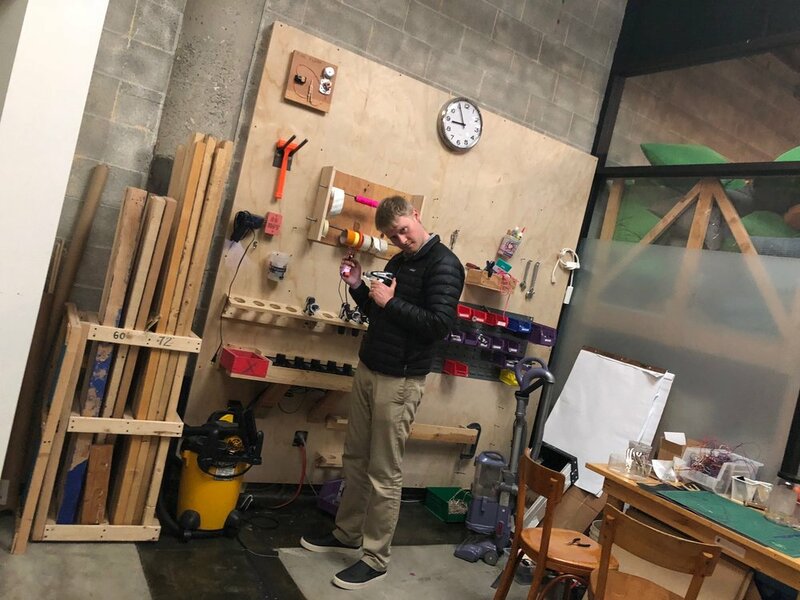 It was super fun to give adults the chance to practice soldering as they made something that they were interested in using later in the workshop. Once everyone had their contact mic assembled, worshop participants started going on a journey to create and capture sounds that could be used to make music. 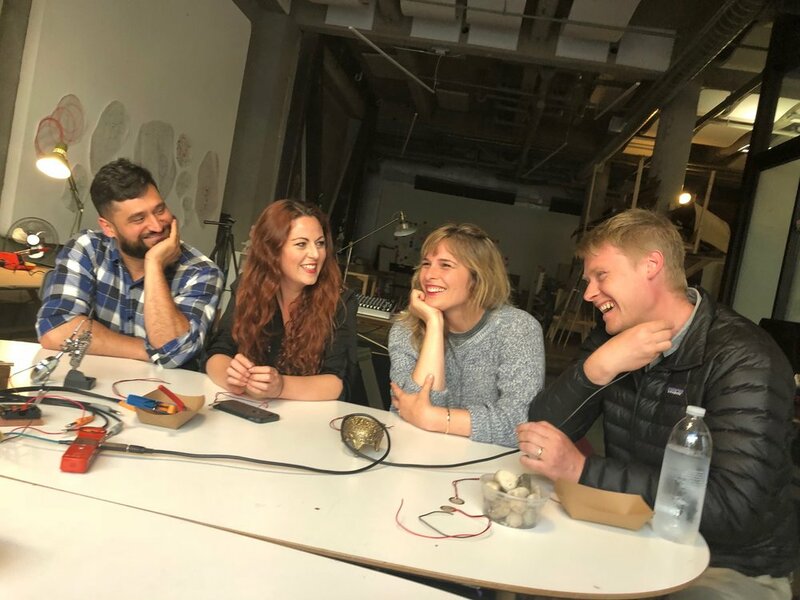 While Sarah and Morgan brought some promising objects, unexpected materials like steam releasing from an iron or a mini power drill created some of the most intriguing snippets of sound. Once we had a good collection of interesting sounds, Memeshift uploaded the files to his computer and started manipulating and sampling the elements digitally with ableton software. He created some surpising effects and although we just scratched the surface it was fun to see the potential for goign deeper with this idea. Overall it was a really fun and social event for adults to try out something new, explore their own ideas and build a tool to take home and continue to experiment after the workshop! Over the next several weeks we'll be hosting more events exploring sourdough bread, electronic wearables and playful data mapping. Hope that you can join for one of these special WICO events!